Novi, MI (March 28, 2017) Chameleon Power, the leading global provider of visualization software technologies, has enjoyed widespread acceptance of its color palette development engine, Chromalyzer. The palette building application aids product manufacturers in the development of the ideal color palette for their product suite. Leading manufacturers across many product categories have embraced the technology for internal use. The Chromalyzer application is ideal for benchmarking colors in a three-dimensional graph to allow product designers and color specialists to plot their product color set and evolve compared to competitors and color forecasts. “Discriminating customers use our technology to make the best decision. Color accuracy and the ability to analyze the color space of products dramatically enhances our value with certain sectors of the residential and commercial design arenas,” said Dan Dempsey, President and CEO of Chameleon Power. “Our vast color knowledge and tremendous grasp for color science make Chromalyzer a natural fit for our suite of solutions." Chromalyzer’s tool suite enables manufacturers to make more informed decisions when selecting colors for their product ranges and forms a vital bridge between the desires of the color stylists and the needs of the color lab for production. A new color harmonizing technology is also in development that will take the visualization industry by storm, providing a much needed metric to help users choose perfect combinations. This model is ideal for deployment in all digital media applications. 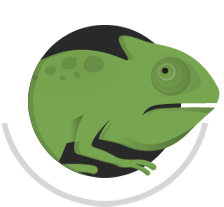 Chameleon will be announcing the suite of tools to existing and prospective customers throughout June and July.